I’ve been realizing more and more the importance of reading both for my business growth, a healthy spiritual life, for a great marriage, and for fun. If you’ve frequented our blog, you have probably picked up on the fact that we are Dave Ramsey fans. His teachings on money, budgeting, and debt have revolutionized the way we think about money, both personally and in our business. That isn’t the purpose of this blog, but we mention him to point out this quote from him that we have heard over and over again. “The next five years of your life will be determined by the people you meet and the books you read”. I will admit, I have never been someone who loves to read. When I was little, my sister would read to me and I would draw pictures to illustrate what she was reading. I’ve always been the creative one leaning on dance, music, and photography as my creative outlets, not books. But this quote from Dave Ramsey has been convicting to me over the years. 2018 was my year of podcasts and audiobooks, as a way to supplement my lack of desire for reading. I have discovered my love for podcasts because they are a great way to learn and grow. But in 2019, I’ve decided to read a book a month. (Which may not seem like a lot to my husband who read almost 50 books last year), but it’s a big deal for me. Mitchel has always been a huge fan of reading and almost always has a book nearby. I’m learning from him that even a few pages a day is worth it! Mitchel and I have decided to read some of the same books and talk about them, along with other books we are choosing to read separately. For January, I’ve been reading Purple Cow, by Seth Godin. And I’m continuing to read Annie F Downs’ 100 Days to Brave devotional in the mornings in my Bible reading time. I am also going through New Morning Mercies and am loving it! Any other suggestions? Let me know! I’m sure I’ll probably rearrange when I decide to read each of these, but I at least wanted to share and post about them to keep me accountable! I hope you’ll read along with us! 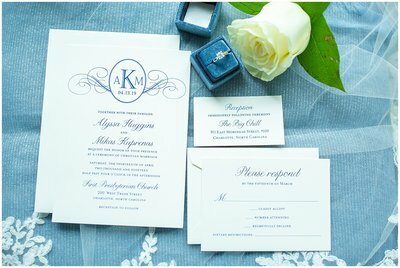 « For Brides: Introducing the Katie Jaynes Bridal Guide!